Turkiye | IASCA Worldwide, Inc.
Turkiye has been in the IASCA family for over ten years; the main focus of competition in Turkiye is IdBL, but there has been a new interest in Bass Boxing as well, and a resurgence of competition has come along, mainly in the northwestern part of the country. The IASCA Turkiye executive is headed by Pasam Sezer, organizer of some of the top car shows in the country. 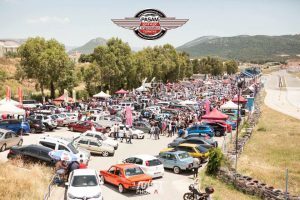 IASCA will be featured at all his car shows starting 2018; the first main show will take place at the Olympic Stadium in Istanbul on September 24th, 2017, officiated by IASCA U.S. Head Judge Terry Floyd. For more info on IASCA Turkiye, visit their website at http://www.iasca.com.tr. To contact IASCA Turkiye executive, you can email them at info@iasca-tr.com.